Black and white(overexposed) image of a mechanical bean picker being pulled through a field of beans. 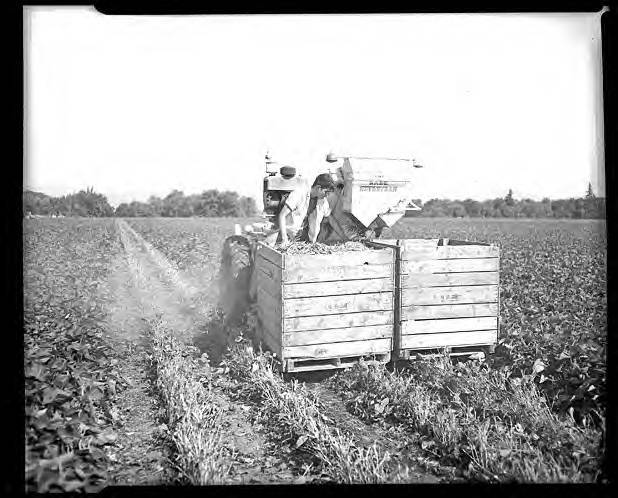 The harvested beans are dropping from a hopper into wooden crates behind the picker, supervised by a young man making certain the crates do not overflow. Museum records identify this location as the Carothers & Son farm, near Cornelius, Oregon.